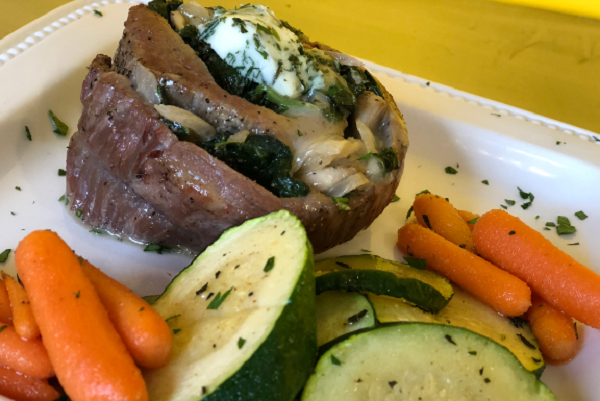 Tender flank steak butterflied then stuffed with fresh spinach and mushrooms and topped with a compound butter mixture of parsley and tarragon. 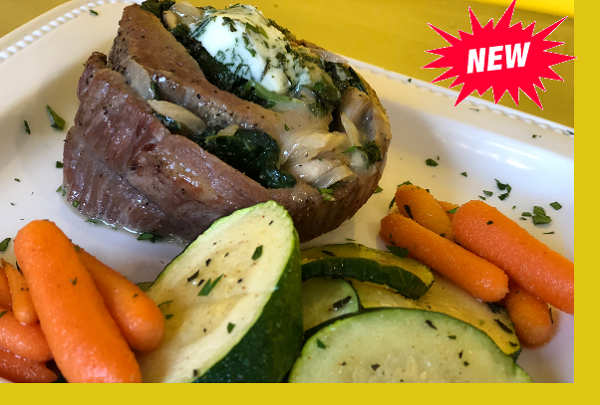 Served with a side of oven roasted vegetables. Preheat oven to 400F. Place steak in provided pan and bake uncovered for 15 to 20 minutes or to desired wellness.